We know that you are busy and don’t have time to spend on mundane, repetitive billing processes that take up valuable time. Whether your company sends bills weekly, monthly, or whatever interval it may be, our Recurring Billing app could be the enhancement you’ve been looking for! Recurring Billing makes your recurring billing process work simpler and easier. Users create Billing Schedules to assign your customer and the products to bill. The best part: create as many schedules as you need. A workflow will automatically generate the needed invoices for you and you can automate the workflow to run regularly. Reminder Schedules allow you to determine when and how often you want to remind your customers they have a bill coming due. They didn’t pay? No problem, you can remind them they missed a payment. This is also done though a workflow that you can automate. What do you do with customers who don’t pay on time? Do you charge a penalty fee for them? With Recurring Billing you can create a Penalty that will automatically add a penalty fee to an invoice that has not been paid. This may help encourage your customer to pay on time, and if not, the fee is another source of revenue for you. Of course, we don’t want you to have to worry about manually adding the penalty to each of the necessary invoices so we have a workflow for that too. Recurring Billing will work with the Microsoft Dynamics 365 Invoice or the Sales Document from Rockton Software that is included with the Recurring Billing application. The Sales Document allows you to create additional Document Types and control Document Numbers a little better, which is helpful when integrating with another ERP system. Once Recurring Billing is set up, let it do the work for you while you spend your quality time working on something else. Recurring Billing is available to download for free on the Microsoft AppSource. Get started today! If you are interested in hearing more about Recurring Billing or to see a live demo, contact our sales team at [email protected]. Written by Rhonda Sutliff, Product Specialist at Rockton Software. 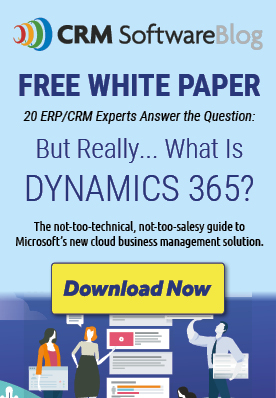 Rockton Software provides business applications for Microsoft Dynamics 365 for Sales.